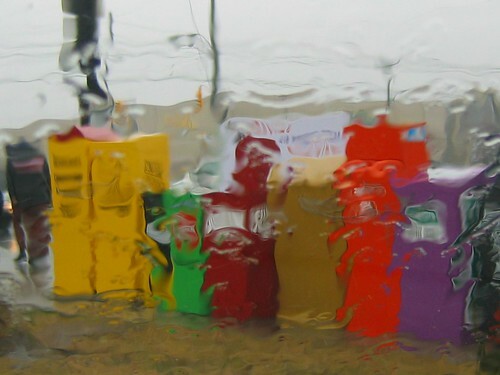 Newspaper boxes as seen through a rainy windshield on a wet and windy afternoon. An oldie but a consistently high traffic photo from my flickr stream. Snow Angel, a photo by Michael Mitchener on Flickr. 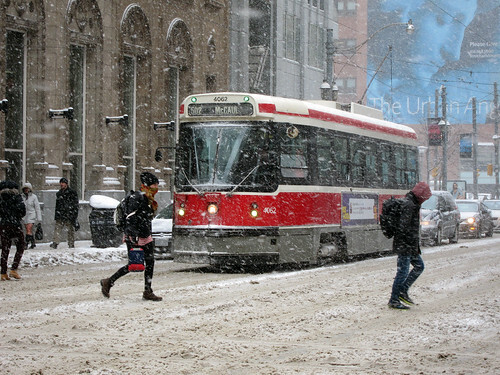 I took this photo on a snowy Wednesday waiting for a streetcar home at Queen and Yonge. There were many streetcars heading west (like this one) but very few going east and when one did arrive, it was too full to get on. I barely fit on the second one but at least I was warm (and moving).